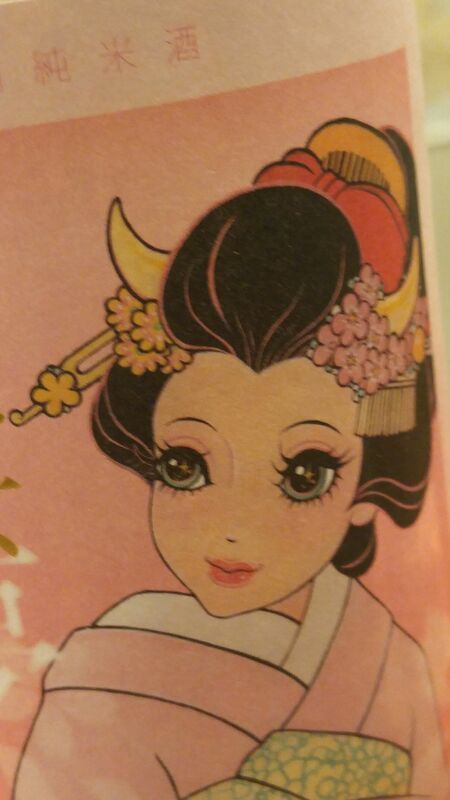 Today the occasion was made the more special that it was Hiromi’s birthday (February 25th)! 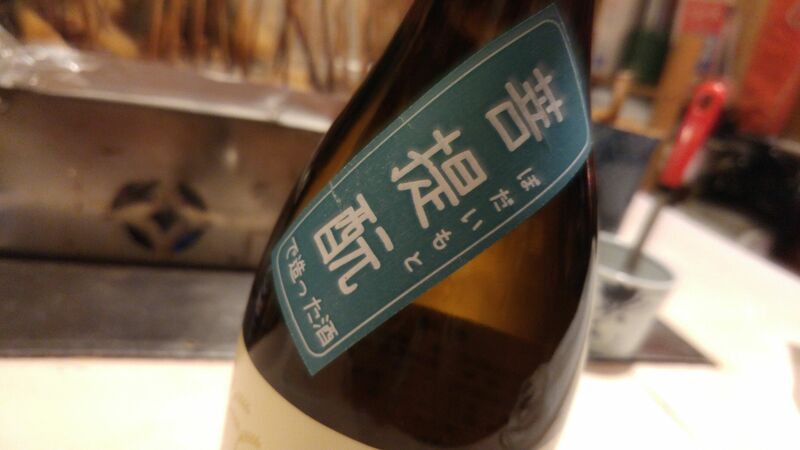 This time we tasted a nectar created by Oomuraya Brewery in Shimada City, part of a series of 4 limited seasonal brews dedicated to the partner of their “Onigoroshi/Kill a Goblin”, that is “Oniotome/The Goblin’s Wife”! This is the Spring edition called “Dream”! By the end of the end year they will get married! A dangerous lady actually when you realize she bears horns! 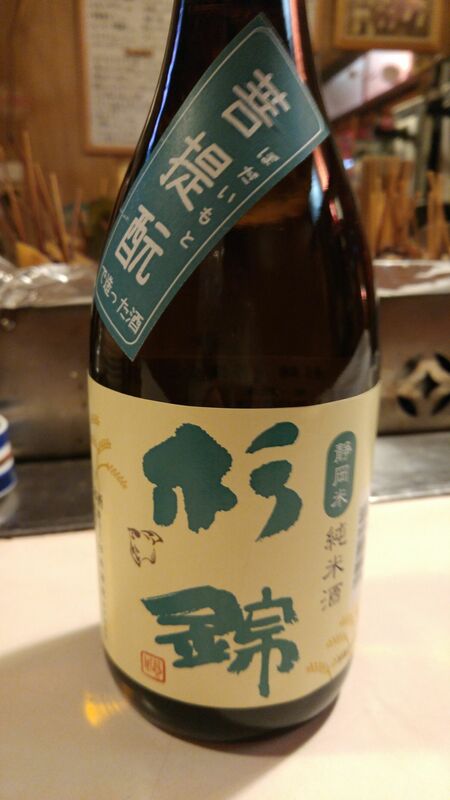 It is not indicated on the back label, but the rice used is exclusively Shizuoka Prefecture-grown “Homarefuji” sake rice, which is getting much deserved attention from all over the country as it is a hybrid of Yamada Nishiki sake rice, but with shorter stems, and far more resistant to the climate vagaries. 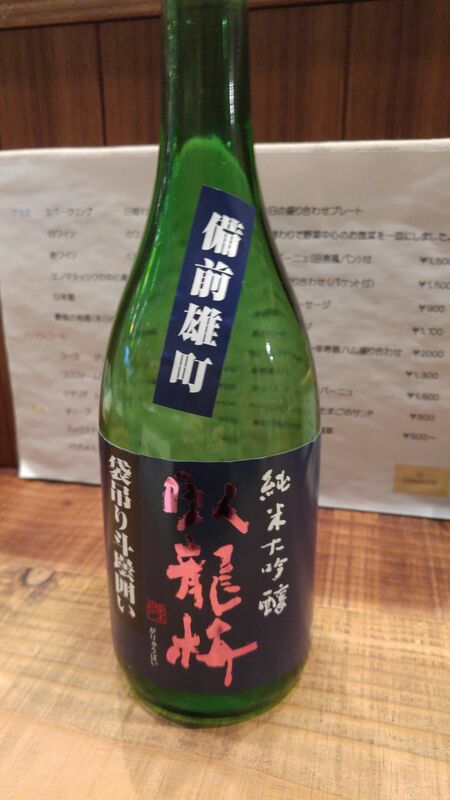 It has recently reached maturity as far as brewers are concerned as all levels of premium sake are brewed with it! 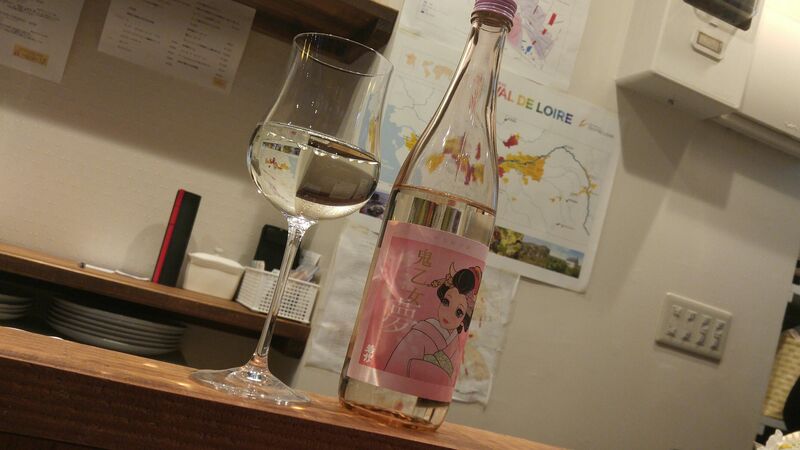 Taste: Dry and fruit attack backed up with puissant junmai petillant. Starts on a sweetish note before quickly turning dry. Lingers for a little while before disappearing with tangerines and faint coffee beans and almonds. Melon makes a very late appearance at the back of the palate. Coffee beans will also make a late surge with further sips. 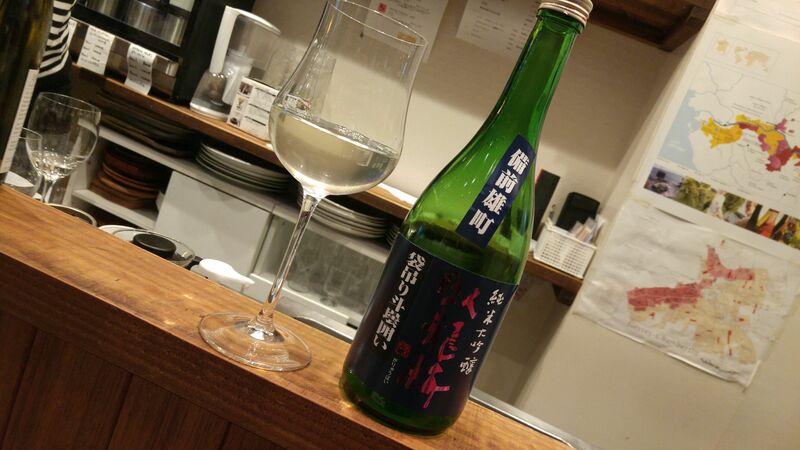 Overall: As usual a very elegant and complex sake. 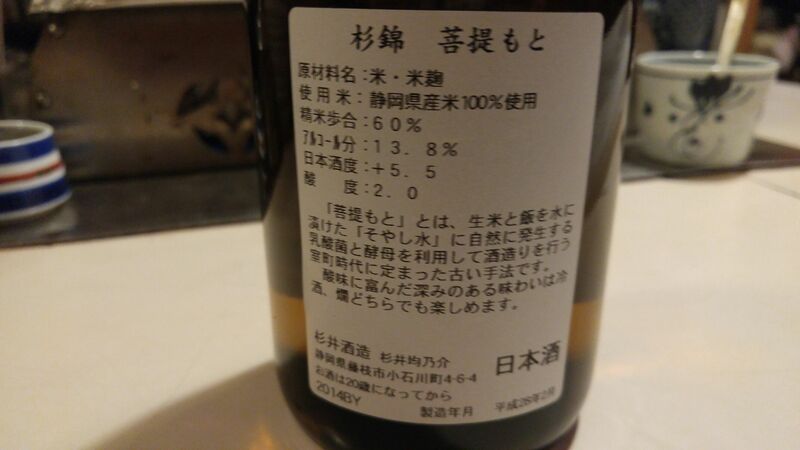 Sake made with homarefuji rice has the intriguing particularity of fluctuating inside your palate revealing different facets in waves that can appear well after you thought it had completely departed. 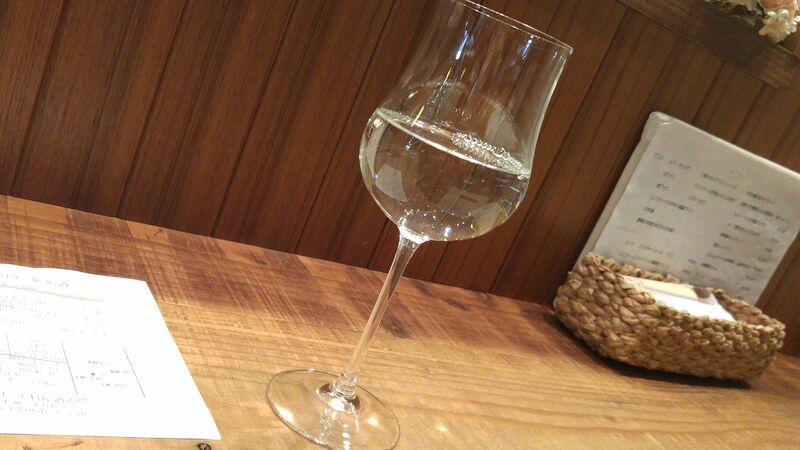 Don’t be taken aback if you are actually conducted a formal tasting and keep your pen in hand! Will please ladies in particular, although gentlemen will appreciate its eclectic propensity to pair with many dishes if you decide to savor it along a repast. Thoroughly enjoyable on its own, either slightly chilled or at room temperature, as well as all along a meal, be it an aperitif, a main drink, or a digestif! 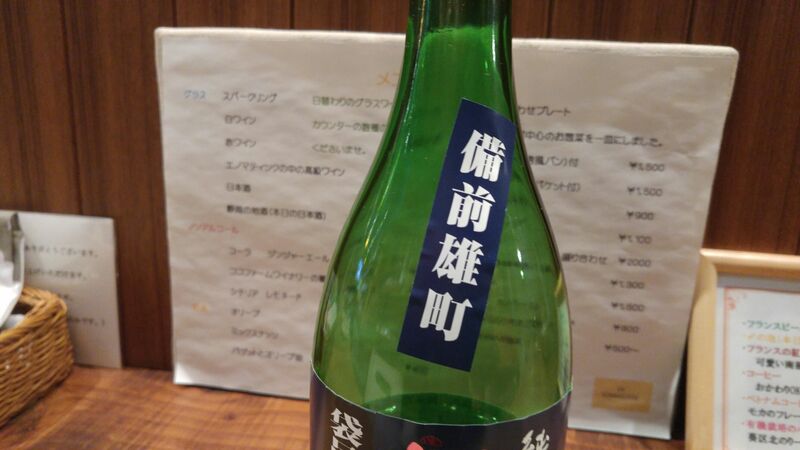 Suggested pairings: “Asari no sakamai”/sake-steamed cockles, “Na no hana no karashi ae”/steamed rapeseed flowers seasoned in Japanese mustard, “Shinjo/Kyoto-style steamed white-flesh fish balls in light broth/”suimono”, Japanese-style scallops shuumai, White-flesh fish sushi. Foie gras as an aperitif! 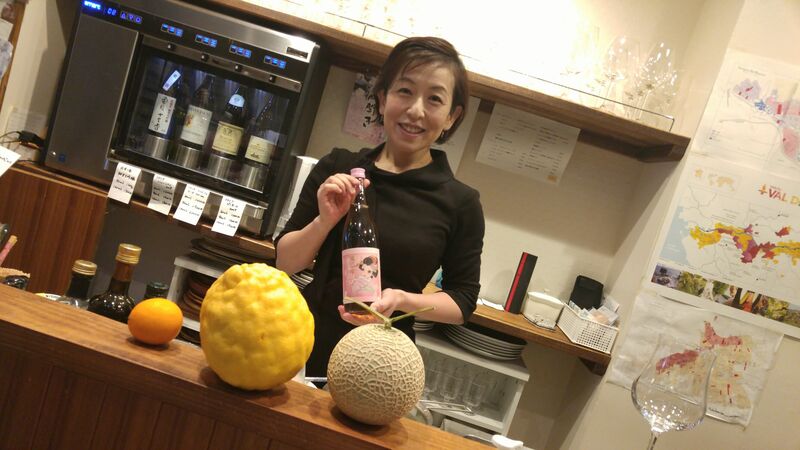 This time we tasted one by one of Hiromi’s favorite breweries, namely, Sanwa Brewery in Shimizu Ku, Shizuoka City, which has the particularity to come up with long names for its brews! 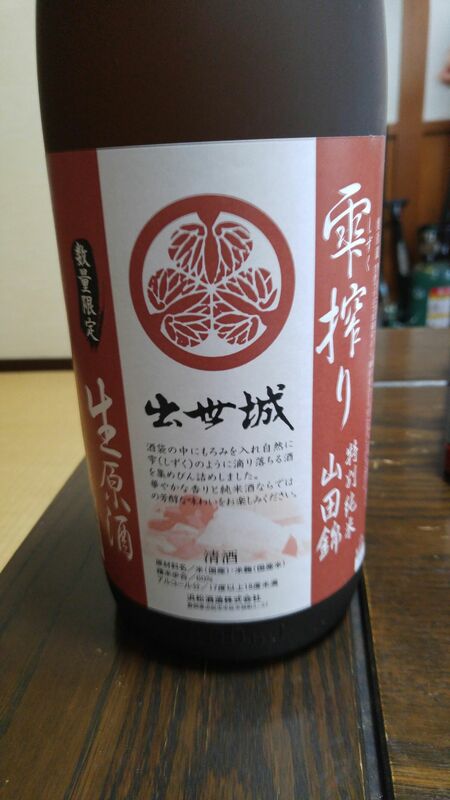 The picture above states that the rice used is Bizen Ohmachi from Toyama Prefecture! 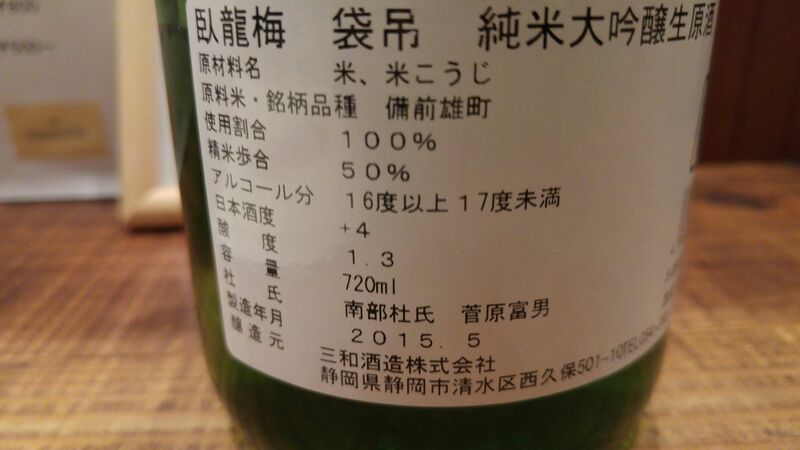 A long name as usual: Garyubai/臥龍梅 Junmai Daiginjo/純米大吟醸 (pure rice alcohol added) Nama/生原 (unpasteurized) Genshu/酒袋 (no pure wate added) Fukuro tsuri/吊り Tobin Kakoi/斗瓶囲い! 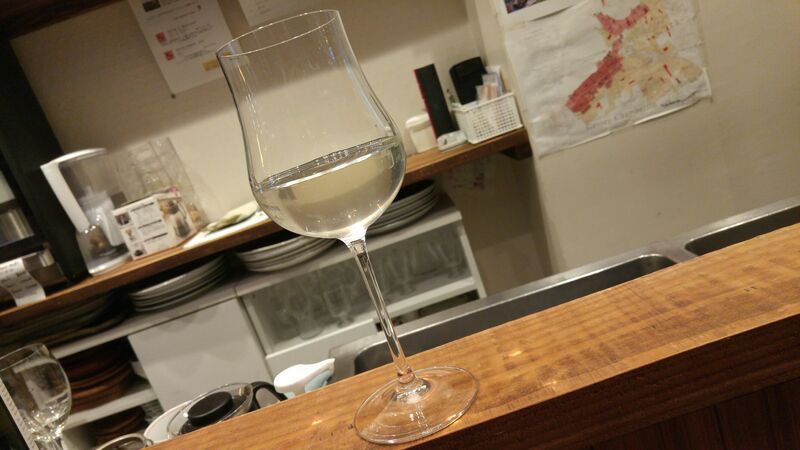 As for Fukuro tsuri/吊り Tobin Kakoi/斗瓶囲い, “fukuro tsuri” means that the sake was not pressed but let to drip out of suspended bags, and “tobi kakoi” means that the naturally-filtered sake was gathered into expensive large glass flasks! 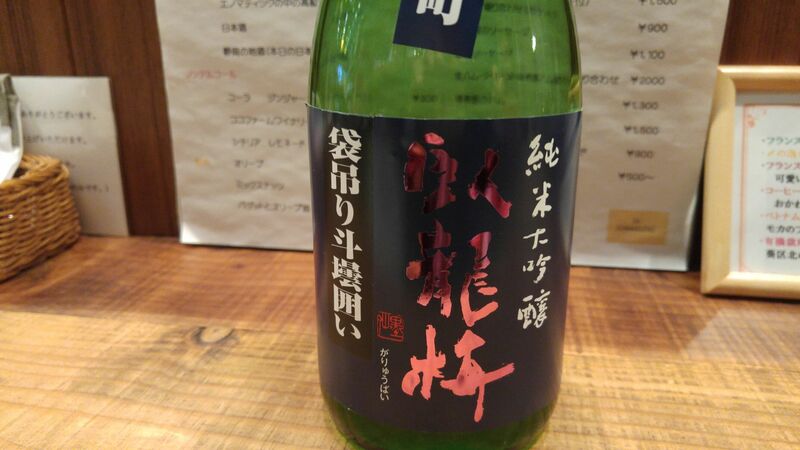 Taste: Dry but very fruity attack , but only with a little junmai petillant. Plums, pears, smoked muscat, melon, passion fruit. 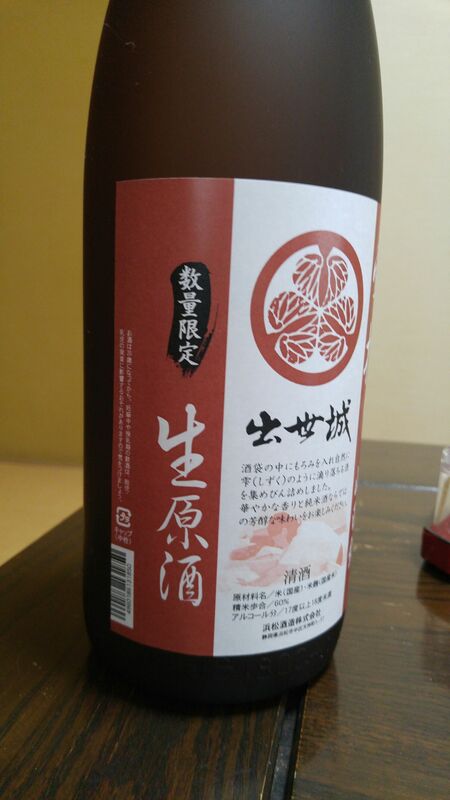 Lingers on palate for quite a while before before departing with oranges and kumquats. melon makes a last appearance. 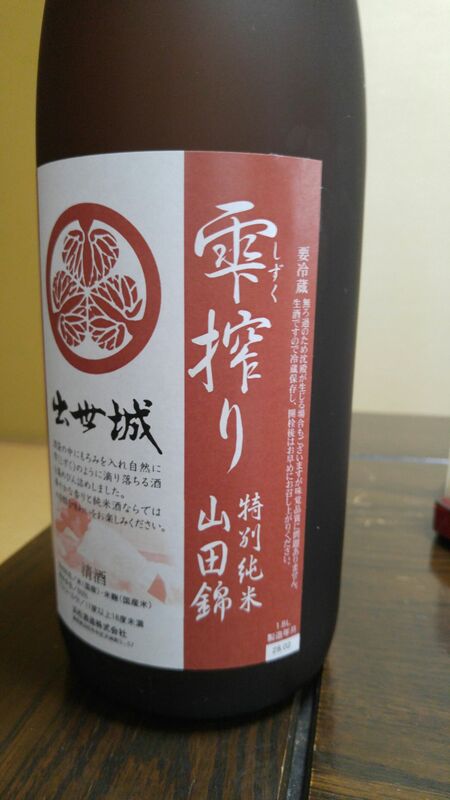 Overall: Extremely elegant sweetish sake in spite of its announced + 4 dryness. 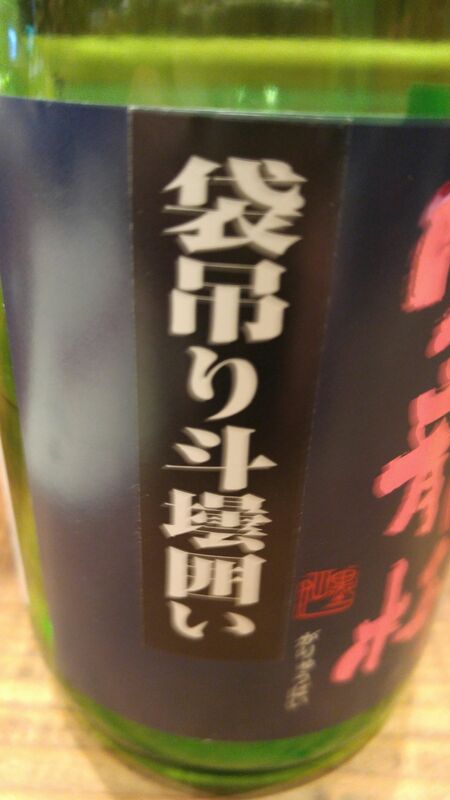 Very fruity and complex it will appeal to ladies in particular. 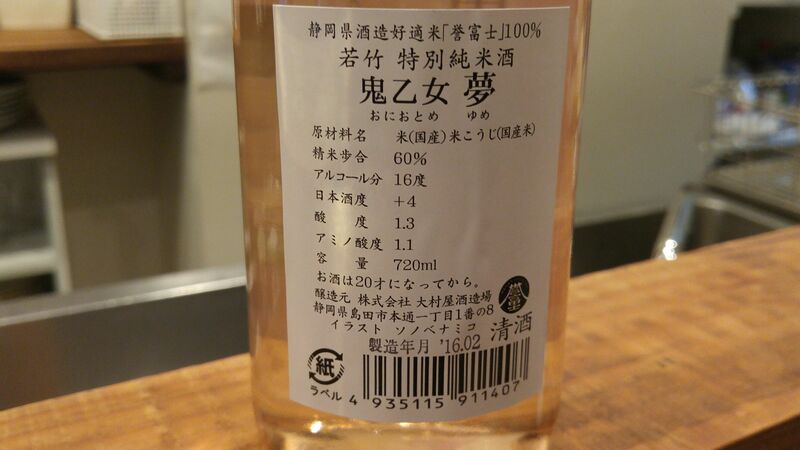 Probably best enjoyed at room temperature on its own or as a digestif. Suggested pairings: foie gras, blue cheese, smoked cheese.